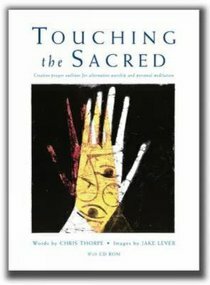 In this imaginative and rich prayer resource, words and images come together powerfully to create a versatile collection of contemporary liturgies. They have previously made an impact at Greenbelt, where the authors have created a 'sanctuary space' for reflective prayer using this material.The icon-like images of hands are inspired by biblical figures and sequences: Angel hands invite us to explore our calling to bring God's word into today's world,the hands of the Magi bearing gifts enable us to discern our own giftedness,Christ's hands as he faces his own death invite us to recognise the reality of living and dying and repair our relationships,a jester's hands celebrates the liberating effects of the coming of the Spirit at Pentecost.Fresh and strikingly relevant, these liturgies can be used for alternative worship, by individuals, prayer groups, by retreat and quiet day leaders looking for new material.In each liturgy there is a mono thumbnail of the image, which links to the CD colour images that can be projected on to a wall or printed for individual use. Chris Thorpe is a parish priest in Shifnal, Shropshire, in the Diocese of Lichfield. Jake Lever is an artist and teacher based in Cheltenham, Gloucestershire. He has exhibited widely in galleries, churches and festivals. Visit www.leverarts.com to view his work.